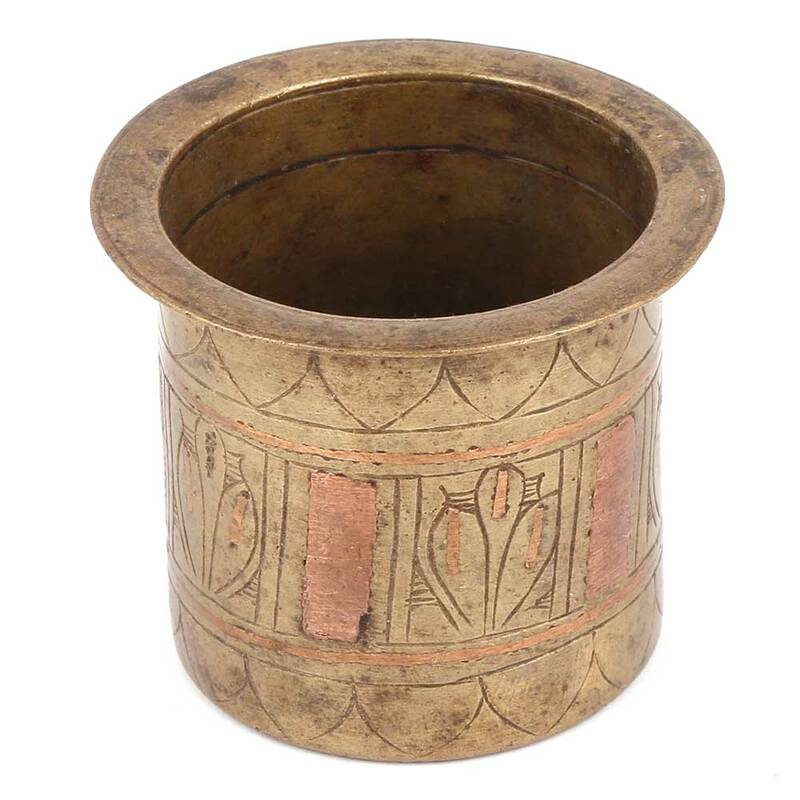 The panchamrita cup is made of bronze and is handmade by the skilled artisans of India. 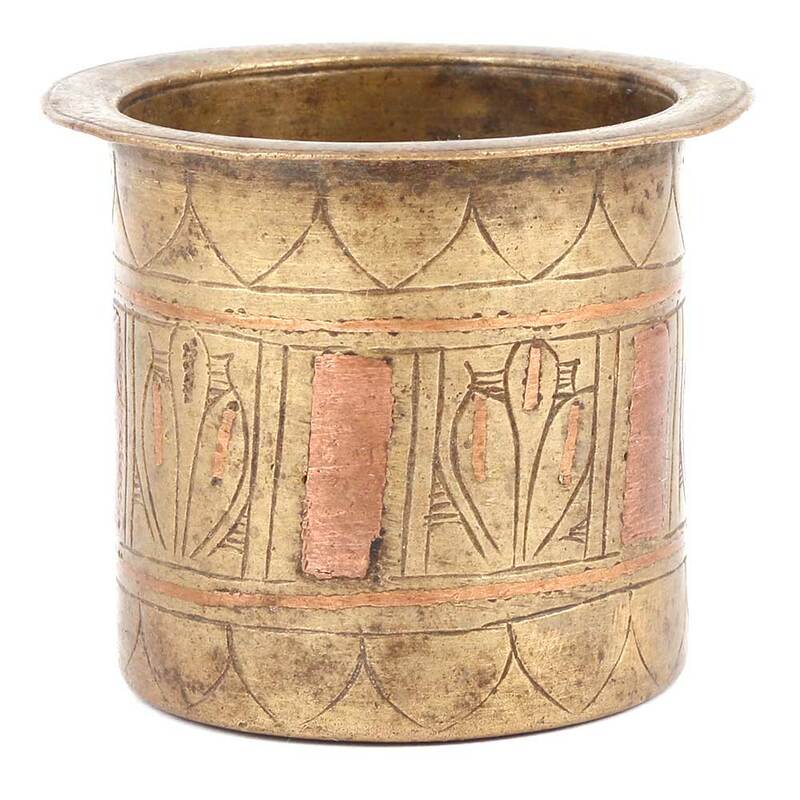 This panchamrita cup can be used for distributing the holy water or charamrita to the devotees. It has beautiful engraving.